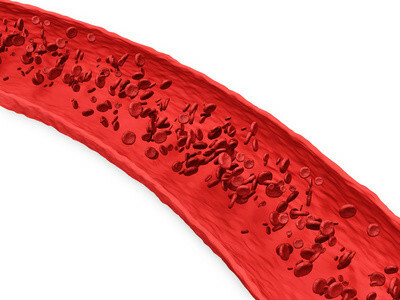 There are many different types of anemia and iron-deficiency anemia is the most common type. It tends to be more common among females and is often related to menstruation. The regular blood loss, especially if heavy, is one of the main reasons why iron deficiency anemia is more common in females. However, this does not mean that iron-deficiency anemia does not occur in males. Red blood cells have the ability to carry gases, like oxygen and carbon dioxide, throughout the body. This is possible because of hemoglobin within the red blood cells. Hemoglobin is made of iron and proteins. The body is constantly breaking down old and worn out red blood cells and producing new cells to replace it. This is an ongoing process. However, red blood cell production can be affected by a number of factors, including low iron levels. When there are fewer than normal red blood cells or if these red blood cells have less hemoglobin then it is known as anemia. This means that the blood has a lower capacity to carry gases like oxygen. In iron deficiency anemia, the low levels of iron means that the body produces red blood cells with less hemoglobin. Depending on the severity, less oxygen reaches the different parts of the body. Iron deficiency anemia may not be a life threatening condition but it can affect daily functioning and well being. In mild cases there may be little to no symptoms. Some of the symptoms that may arise includes fatigue, shortness of breath, reduced ability for physical activity and paleness of the skin. Iron deficiency can also cause low blood pressure and a rapid heart rate. Iron deficiency anemia arises for three reasons in males or females – blood loss, low iron intake (diet) and the inability to absorb iron. Increased utilization of iron occurs in pregnancy and is another cause of iron deficiency anemia in females only. It is important that the cause of iron deficiency anemia is investigated by a doctor as some of these causative conditions can be serious. Iron deficiency anemia can occur as a result of large blood loss or even microscopic blood loss over a long period of time. It therefore does not only occur with menstruation. For men, this is more likely to be associated with gastrointestinal bleed, like a bleeding peptic ulcer. Another common site of bleeding is hemorrhoids, the enlarged rectal veins that are also known as piles. While the blood loss in these conditions are usually not serious, gastrointestinal bleeding can also occur with cancers, such as cancer of the esophagus, stomach cancer or colorectal cancer. Without prompt diagnosis and treatment, cancer can be life threatening. Even benign growths like colon polyps can bleed. It is important to note that polyps can be pre-cancerous meaning that it may become malignant (cancerous) over time. Humans source iron from food. A diet that is low in iron will therefore cause low iron levels in the body which can result in iron deficiency anemia. Iron is found in many foods, both plant and animal foods. However, the iron found in plants (non-heme iron) is not absorbed as readily as iron found in animal food (heme iron) like meat. Nevertheless, a balanced diet does not require meat to ensure a sufficient iron intake. 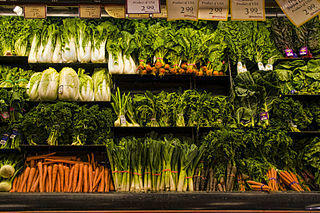 Whether a meat eater, vegetarian or vegan, it is important that a balanced diet is maintained. Offal meat like liver is abundant in iron while plant foods like spinach are also iron rich. Daily iron intake ranges from 15 mg/day in infant and children to 20 mg/day in adults. Men with iron deficiency anemia should therefore ensure an adequate intake of iron rich foods and supplements to restore iron levels. Iron absorption may be affected for several reasons in people with eating disorders like anorexia nervosa and bulimia. The lack of food intake in anorexia nervosa means that there is insufficient iron consumption for the body’s needs. 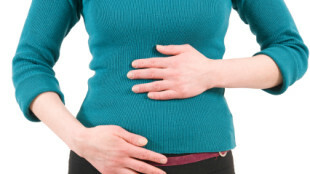 In bulimia, purging through vomiting means that the food does not stay in the gut long enough for iron to be absorbed. Iron is absorbed from food in the gut. However, if absorption is impaired then the iron may not be readily absorbed. This is seen in a host of gastrointestinal conditions, particularly diseases and disorders that affect the small intestine. Most of these causes of malabsorption do not specifically block iron absorption but the absorption of all nutrients are affected. Celiac disease, inflammatory bowel disease (IBD) and a host of other chronic diseases that affect the inner lining of the intestines can affect iron absorption. Even acute gastrointestinal diseases like gastroenteritis may impair nutrients absorption but this is usually mild and only lasts for a few days at most. Without treating these diseases and reducing bowel inflammation, dietary iron absorption is affected. Studies have shown that excessive tea drinking can affect iron absorption. This is unlikely to be the sole cause of iron deficiency anemia but can have an impact in the backdrop of other causes. The tannins in tea affects iron absorption from food in the gut. However, this is less likely to be a problem if tea drinking and consuming meals are separated by several hours. Iron supplementation is a common approach to treating iron deficiency. There are host of different iron supplements available and some claim to be better absorbed than others. One way of improving iron absorption from supplements is to consume it with vitamin C. A glass of orange juice or vitamin C supplements taken at the same times as iron supplements may be helpful. Red blood cell production can be affected in certain chronic conditions and this may lead to anemia. It is not iron-deficiency anemia but is nevertheless still noting. These chronic conditions are generally inflammatory in nature. The chemicals that promote this inflammation appear to affect red blood cells production in the bone marrow. Therefore anemia may be an ongoing problem if these conditions are not properly treated and managed.